Habitat for Humanity of Sangamon County (HFHSC) is accepting applications for its home accessibility program installing wheelchair ramps at individuals’ homes. Through a grant, provided by King’s Daughters Organization the program has built 20 ramps to date helping individuals and families stay in their homes. 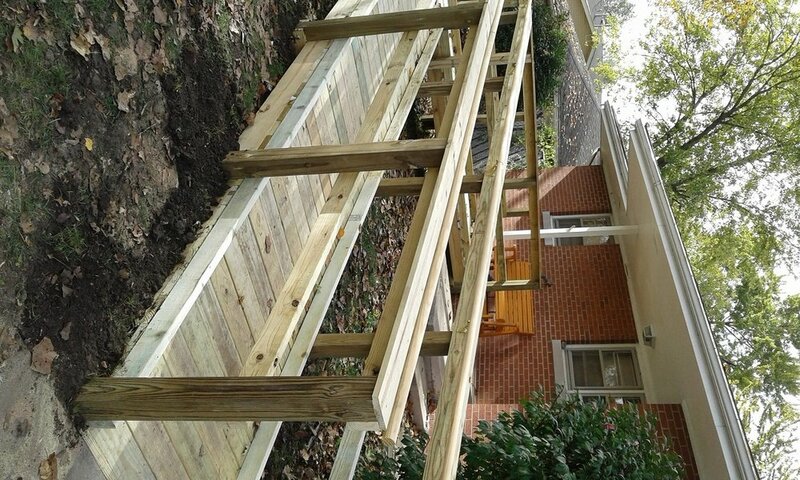 “Instead of being forced to move, a ramp allows low-income homeowners to safely live at home. That’s the goal of this program,” said Colleen Stone, HFHSC executive director. To qualify for the program applicants must be 55 or older, low income, in need of a wheelchair/handicap ramp, live in and own the home, and have homeowners’ insurance. For those under 55, or those who do not qualify, the $100 materials fee would be applied. Habitat does offer low monthly payments for the cost of the supplies and works with each family so that the ramp is affordable and allows them to stay in their home safely. Application and income guidelines are available at http://www.habitatsangamon.com/wheelchairramps or can be collected Monday through Friday from 9am to 4pm at the Habitat office. Completed applications should be mailed or dropped off at Habitat for Humanity of Sangamon County, 2744 South Sixth Street, Springfield, IL 62703. For questions about the program, please call Scott Saunders at 217-523-2710, ext. 221. Central Illinois, Real Estate Agent, Springfield ILGemma Long June 01, 2017 DEB SARSANY TEAM, THE REAL ESTATE GROUP, INC.
Central Illinois, Real Estate Agent, Springfield IL, ProfileGemma Long May 25, 2017 DEB SARSANY TEAM, THE REAL ESTATE GROUP, INC.